You will always come across diet plans that are suited for the western culture whenever you search the internet for a diet plan. It is very difficult for you to follow the American diet plan that will help in reducing weight if you are an Indian and have spent most part of your life in India munching on the wide variety of Indian foods. The following is an Indian weight loss diet chart that to shed off the extra kilos in your body easily you need to follow. – A glass of lukewarm water with lemon (0 calories). – A plate of brown bread upma and a cup of skim milk (300 calories). – A banana or 20 Grapes or ½ cup melon (50 calories). – 1 cup of brown rice (200 grams) + ½ cup mixed vegetables + one small bowl of Raitha + 1 bowl vegetable salad (345 calories). The total calories you will consume in this vegetarian diet is about 1220 calories. There is no need to worry if you are a non vegetarian and do not like to eat a lot of vegetables to lose weight. By including non vegetarian dishes in your daily menu you can also lose a considerable amount of weight. 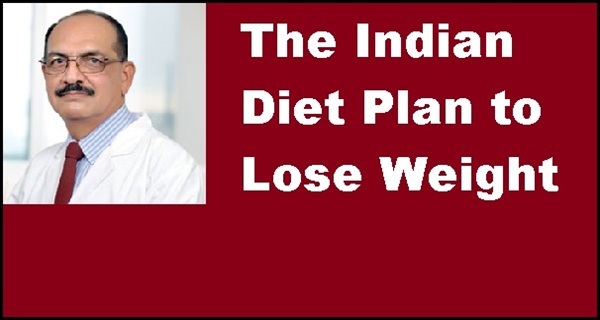 The following is the non vegetarian Indian diet plan for weight loss. – 1 Slice of brown bread + 2 scrambled egg + 1 cup skimmed milk without sugar (310 calories). – A banana or 20 Grapes or ½ cup melon or fistful of almonds or walnuts (50 calories). – 1 cup of brown rice (200 grams) + ½ cup mixed vegetables + 100 grams of chicken (boiled or stir fried in olive oil) + 1 bowl vegetable salad (360 calories). – Butter Milk 1 glass or 1 cup (35 calories). – 1 Chappati or Roti + ½ cup of Lentils dal + 50 grams of fish (rich in omega 3 fatty acids) + 1 bowl of raitha (380 calories). Around 1225 calories is the total calorie that you will be consuming a day by following this non-vegetarian diet menu. You will be able to lose weight by eating all your favorite foods by following this diet plan. You do not need to do rigorous workouts and just need to do mild exercises to enjoy weight loss with this diet. The 1200 calorie diet plan will help you to shed extra kilos by making a little bit of adjustment to your lifestyle and diet if you are looking to lose weight within a short span of time.